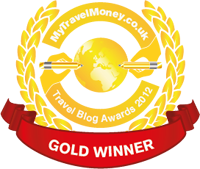 "The Oscars of the Travel Blogging world." 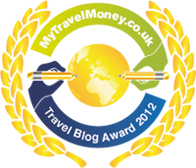 What are the MyTravelMoney.co.uk Travel Blog Awards? Welcome to the Oscars of the Travel Blogging world. 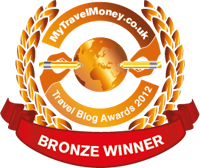 Organized by MyTravelMoney.co.uk, the UK’s leading travel money price comparison site, the prestigious MyTravelMoney.co.uk Travel Blog Awards 2012 is about honoring the most competent and creative travel bloggers, who devote their time and energy to entertain, amuse, educate and inspire us most. 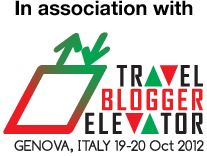 We’re getting set to hand out a string of awards to those with the most travel savvy muscles to flex and will showcase the top travel blogging talent every Tuesday and Thursday for the next 10 weeks in our very own hall of fame. After all, as top athletes across our five foremost continents limber up for the Olympic Games 2012, MyTravelMoney.co.uk awards its very own global champions. 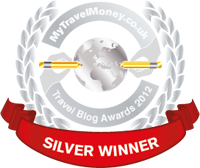 The winners in each category will be honoured with gold, silver, bronze or finalist MyTravelMoney.co.uk Travel Blog Awards badges of honour and, once MyTravelMoney.co.uk’s judging panel has picked out its favourite bloggers from the Twittersphere, winners and finalists will be invited to give an interview on our own popular travel blog. The awards are designed to cover almost all aspects of the travel blogging world from ‘Best Budget Travel Blog’ to ‘Most Humorous Travel Blog’ and our principal focus is on rewarding and recognising true excellence. To be recognised as part of our ‘winners circle’ is an honour in itself. We won’t only tell the world who won but, very importantly, we’ll be telling people why they won. To flag up your blog for potential inclusion, please drop our PR & Community Manager Lynda Hamilton a line at lynda@mytravelmoney.co.uk.